Our field service team is available 24/7 during your plant turnaround! Our engineers are available day or night for guidance on placement, materials, finishes, etc. 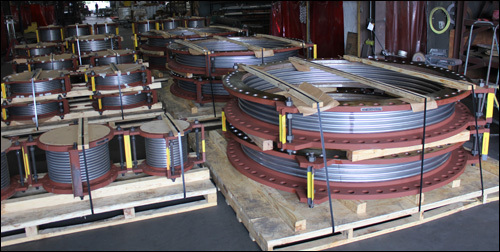 We can develop a data book of existing pipe supports and expansion joints and their conditions in order to identify potential maintenance issues in upcoming turnarounds. 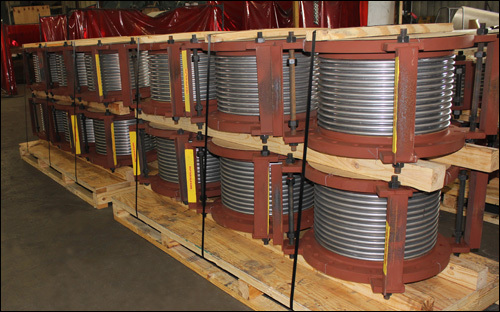 This expansion joint received in the morning and shipped to the customer the very same day. Same day delivery enabled the customer to resume operations with minimum loss of time and production. 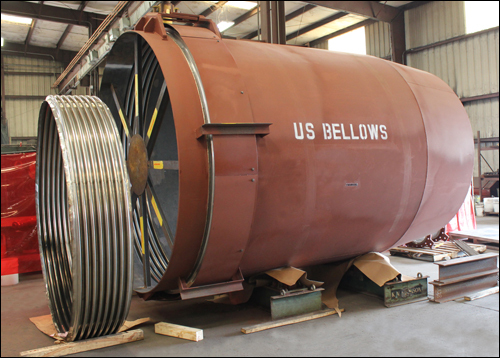 A service call came in when a leak was discovered resulting from a crack in the bellows of a pressure balanced elbow expansion joint. 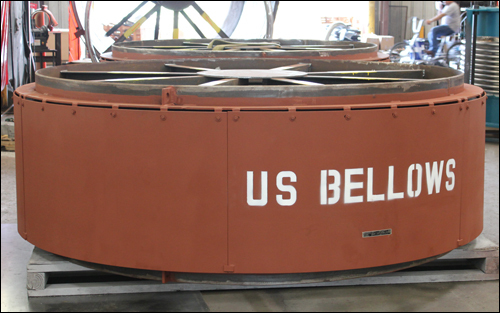 New bellows were fabricated, carbon steel root rings and cover bolts were replaced, and the unit was back in service in high pressure turbine crossover piping within a few weeks.